It was sunny here in Shirahama again today. As I didn’t have enough time to go to the beach to take photos I took this photo on the roof of Pension Sakuraya. 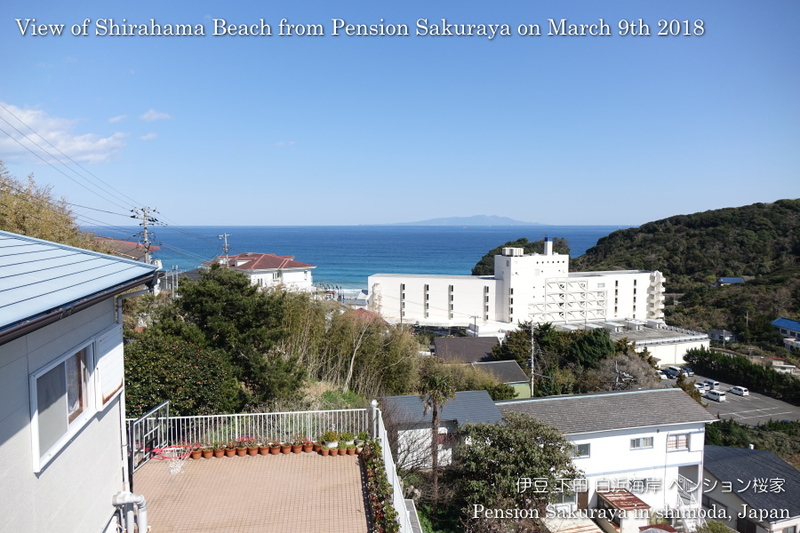 This entry was posted in beach, Pension Sakuraya, Sea on 2019年3月9日 by izusakuraya.